Pres. Donald Trump speaking at a news conference on Wednesday, Nov. 7, 2018. Trump’s narrow and surprising win in Pennsylvania two years ago was key to his victory in the Electoral College, and he’ll want to win the state again in 2020. His problem is not just that Democrats picked up congressional seats – that was likely to happen after the Pennsylvania Supreme Court drew new, more Democrat-friendly districts. But even if you compare winning Republican congressional candidates’ margins last week to Trump’s margins in those same geographic boundaries two years ago (see chart below), the contrast is striking. Take the 16th Congressional District in far western Pennsylvania. Voters there went for Trump by 20 points in 2016. Incumbent Republican Congressman Mike Kelly held off Democratic challenger Ron DiNicola last week by just four points. Dickinson College political scientist Sarah Niebler said that wasn’t an exception. Republican Congressional candidates last week trailed Trump’s 2016 margins in 17 of the state’s 18 congressional districts by an average of more than eight points. This, of course, is after polls, pundits, and the president himself described the election as a referendum on Trump’s presidency. Statewide, there were 474,000 more votes cast for Democrats than Republican congressional candidates – a margin somewhat inflated by the fact that the GOP failed to run a candidate in the 18th District in Pittsburgh, netting it no votes in an area where Trump won a third of the votes in 2016. The one Republican candidate who beat Trump’s performance in his district was Rep. Brian Fitzpatrick in the 1st District in Bucks County. 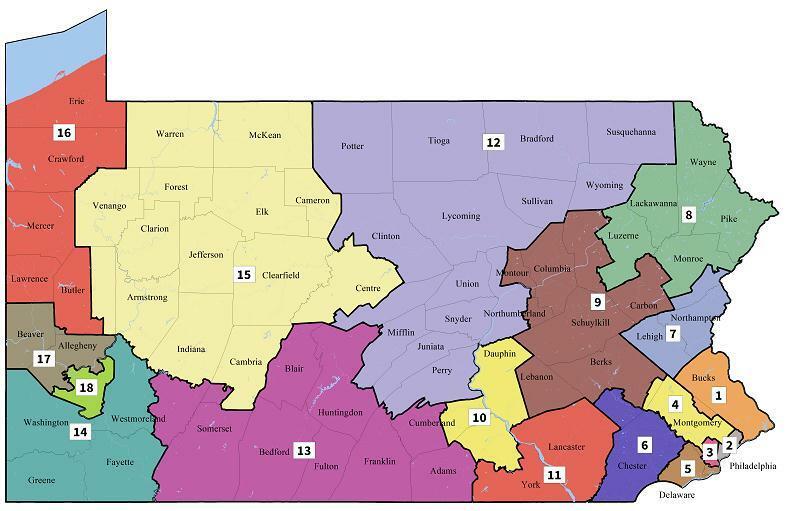 Jason Gottesman, communications director for the Pennsylvania Republican Party, acknowledged that Democrats had performed well last week, but noted that Republicans held onto several contested seats, including Fitzpatrick’s and Kelly’s. Franklin and Marshall College political scientist Terry Madonna agreed that the results are meaningful, but not predictive. Find this report and others on the site of our partner, WHYY.